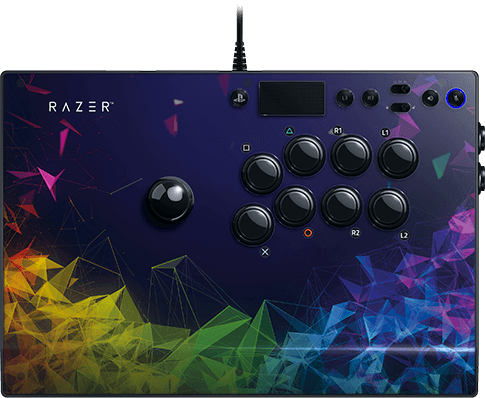 The Razer Panthera Evo is the complete predator when it comes to arcade fight stick controllers—Built with advanced features to complement the lightning quick instincts of those of the fighting game persuasion. It has a toughness and durability befitting one that stands at the top of the food chain, with customizable options to adapt its skin to its user’s character. We’re proud to present a true fighting machine destined to take the fighting game genre by storm. Predators evolve to become deadlier. 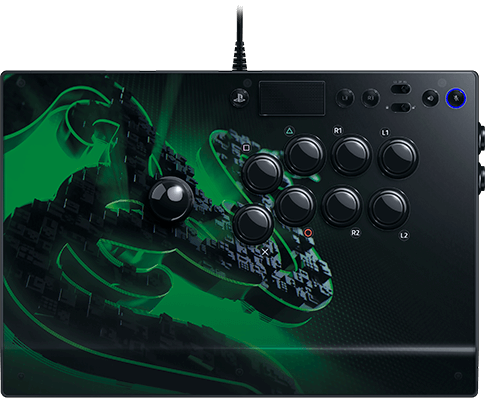 The Razer Action Buttons featured in the Razer Panthera Evo utilizes 8 pushbuttons with the same Razer™ Mechanical Switches found in Razer’s most renowned gaming keyboards, fine-tuned for shorter actuation points. Your every reaction is activated in blinding speed when you take control of this beast. The Razer Action Buttons feature switches with a 30-million tap life cycle—a durability that far exceeds industry standards. A true arcade fight stick stays true to a genuine arcade feel. The 8-button Vewlix style layout makes this no stranger to fighting game enthusiasts. This high quality lever is a fan favorite because of its ability to deliver quick responses, giving users an edge when delivering killer combos. 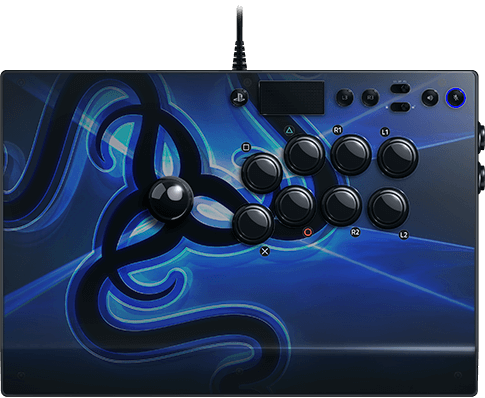 The Razer Panthera Evo has a clear top panel with endless customization options, with access to interchangeable artwork and parts. Download the template below to create your own customized designs so everyone knows who you are when you show up for battle. A new design now features a balanced weight and height profile for optimal play performance, including a non-slip rubber base that keeps it firmly on your lap. Plug in your favorite headset and enjoy audio and communication when you play, with a 3.5 mm analog headset port that’s compatible with the PS4.